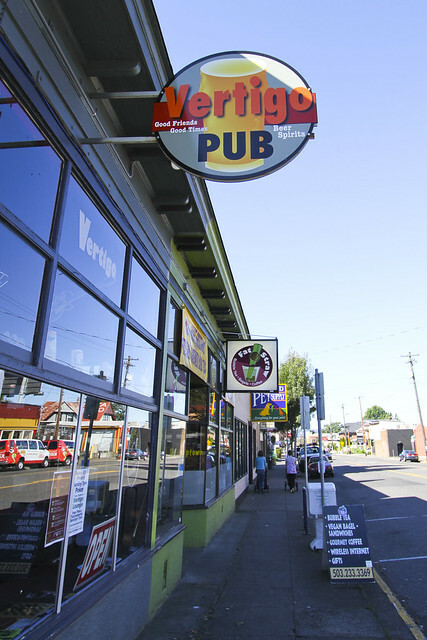 The Richmond district is one of the most exciting and diverse neighborhoods in Southeast Portland, encorporating some of the most popular sections of Hawthorne Boulevard and Division Street. The area is a grid of alternating residential blocks and commercial streets, offering an amazing balance of the best of Old Portland architecture, mature tree-lines streets, and easy access to the most popular gathering spots, the Hawthorne and Division districts. There seem to be more unique and colorful bungalows along the streets in Richmond than in any other area in town, and the density of amazing restaurants, coffee shops, bars, bookstores, theaters, adn boutiques is unsurpassed. Richmond has one of the most active neighborhood associations in Portland, and street fairs, art shows, and community events seem to happen a few times a month. The newest addition to the family of locally-owned New Seasons stores is opening on Hawthorne and 42nd, providing friendly grocieries with a neighborhood ethic to the neighborhood. The entire area shines with this local, organic mentality, community pride, and love of Portland's quirky culture. The homes in the area feel miles away from city life, with tall trees and lush gardens, and most streets are incredibly bicycle friendly. 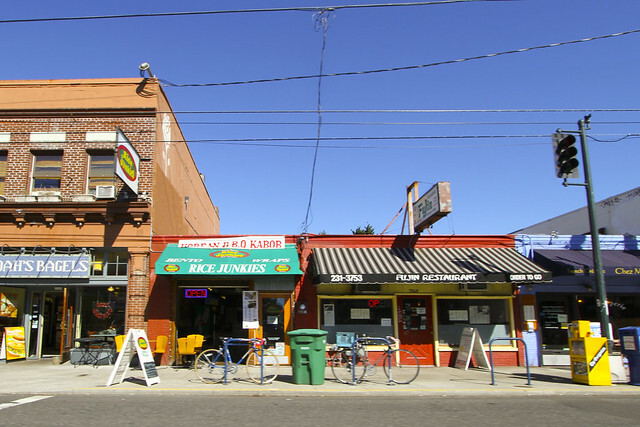 Buckman is home to some of the area's most popular hang-out spots, including Division Street's Stumptown Coffee, Pok Pok traditional thai street food, Detour Cafe, Los Gorditos mexican food, the Baghdad Theater, Powell's Books, and Licky Strike Chinese Food. For more photos of the Richmond neighborhood, visit the McDonald Group Realtor Flickr. The Richmond neighrborhood extends from Powell Boulevard to the south, 50th Avenue to the East, 29th Avenue to the West, and Hawthorne Boulevard. Richmond borders the Sunnyside District to the north, Mt. Tabor and South Tabor Districts to the east, the Creston-Kenilworth and Foster-Powell District to the south, and the Hosford-Abernethy neighborhood to the west. for early second language education. Richmond is named after Dr. Richmond Kelly, son of an early immigrant from Kentucky who held one of the donation land claims in the area, Rev. Clinton Kelly. Every street has its own story to tell, and neighbors are often willing to chat about stories from the area. Richmond is one of Porltand's largest and most progressive neighborhoods, with gorgeous bungalows and craftsman homes on every block. 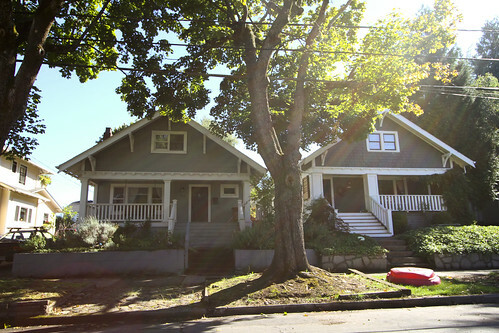 The Richmond neighborhood features classic East Portland bungalow home styles, including Old Portland Foursquare, Craftsman, Victorian, Tudor, and other gorgeous styles. Most homes are close to gorgeous green spaces, including Sewallcrest Park (1940) and Ivon Community Garden (1978). If you are interested in buying or selling a home in the Richmond neighborhood, visit the McDonald Group Home Page for more information, or click here to search for homes for sale in Richmond. Lucky Strike - 3862 SE Hawthorne Blvd - Not your average American-Chinese joint. Lucky Strike is not afraid to make the food spicy. And I don't mean just peppery-hot spicy, although there's no shortage of that... but there are other spices that have their moment to shine, as well. The cumin beef is intensely cumin-flavored, and the Ma Po Tofu is loaded with sichuan peppercorns. Pok Pok - 3226 SE Division St - This Thai Street food spot is famous for their fish sauce chicken wings and amazing cocktails. There is no pad thai on the menu and you’ll use a fork for your Ca Cha La Vong, boar collar, and minced duck breast, but it’s worth it for never looking at Thai food the same way again. Detour Cafe - 3035 SE Division St - Absolutely my one of our favorite places for breakfast on the weekends. Expect a wait because the space is small but the size of Detour makes it feel cozy and mellow. In the August 2010 issue of Every Day with Rachael Ray, Portland's Detour Cafe was chosen as having one of the four best breakfast sandwiches in the nation. The article lauds Detour's "Don Egg Sandwich," which was named after the "don of Division Street," a musician and former employee. The $8.50 sandwich is made with potato focaccia bread that's stuffed with Italian pork sausage, avocado, tomatoes, basil and two scrambled eggs that have been baked with portobello mushrooms, roasted onions and feta cheese. Taqueria Los Gorditos - SE 50th Ave & SE Division St - This is the place to go for cheap, amazing Mexican food – tacos are only $1.50 and their GIANT burritos start at $4.50. We honestly believe that these guys make “The Best Burrito” in Portland. They've got a giant menu of amazing vegan/vegetarian options featuring great soyrizo vegan nachos, unbelievably good beans and rice, and you'll be shocked by the delectability of any meat option you choose (they’ve got carne asada, pollo, carne deshebrada, pastor, lengua, cabeza, encebellados). CHOOSE THE CABEZA despite any Google searches that might steer you away. You won’t regret it. Pix Patisserie - 3402 SE Division St - Portland's take on a French pastry shop. There have very beautiful, rich and delicious desserts. The have some of the best desserts in town, not to mention a great knowledge and selection of dessert wines, beers, and coffee. Stumptown Coffee Roasters -Division - 4525 SE Division Street - This shop is generally a bit crowded and every time we're there the line is pretty long but it's totally worth it. The baristas are some of the best in the business. If you like espresso and french press coffee, or fresh roasted beans, this is the place to go to get your fix. This building was the only stumptown for the longest time and shared the building with their roaster. This is the quintessential Portland coffee experience. 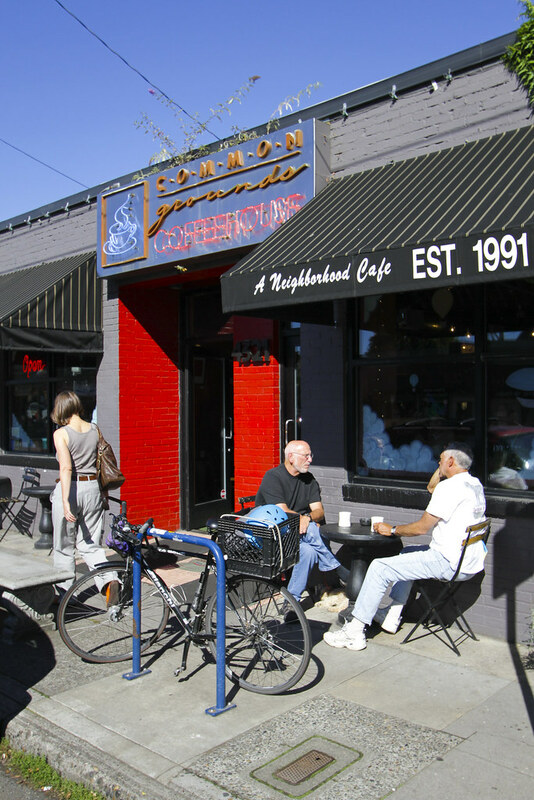 Common Grounds Coffee House - 4321 SE Hawthorne Blvd - This is a nice, quite, cozy coffee shop with lots of comfy seating and a welcoming attitude. It is just what you'd hope for if you wanted to unwind with a cup of coffee away from home. The atmosphere it very relaxing, like those coffee shops in movies you always wish you could find. Presents of Mind - 3633 SE Hawthorne Blvd - The perfect one-stop-shop for greeting cards, for unique little gifts, for beautiful jewelry, for makeup bags and baby gifts. They've got something for everyone, including a wide selection of work from local artists and businesses. 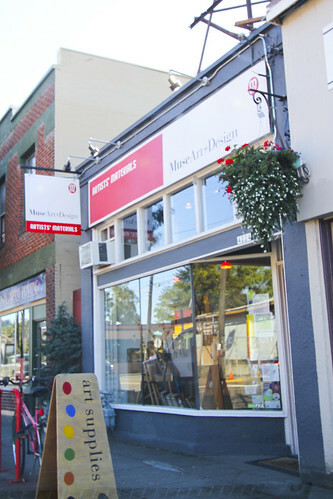 Muse Art And Design - 4224 SE Hawthorne Blvd - This adorable art store has everything you're looking for, from kids crafts to high end art supplies at amazing prices. 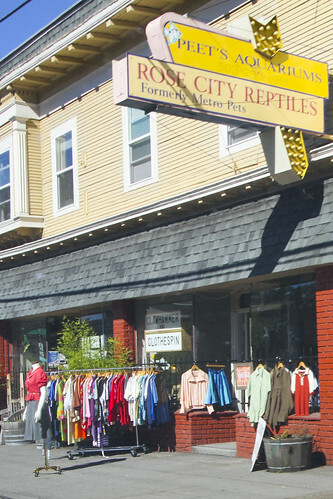 The locally-owned and operated store is an active member of the Richmond community, hosting art shows and participating in neighborhood events. The owners are always more than happy to answer your art questions and help you find the perfect tool, gift, or color. Each year April is devoted to "An Artist A Day," when Muse hosts a new local artist each day by giving them a space to create art in the window of the store. Local35 - 3556 SE Hawthorne Blvd - This women's and men's boutique provides sustainable, locally-desined clothes. They gather stylish brands that are a step down from formal, definitely a few steps up from Portland's studied thrifty non-style, with a strong design sense. The Dollar Scholar - 3343 SE Hawthorne Blvd - This fun store is unlike any other dollar store you'll ever find. When you walk into this place, they throw sticky fake tomatoes in your direction so they'll stick to the glass door behind you. Nearly everything in the store is $1, including the books (which are GOOD). The stuff they sell is actually cool and usually of high quality. The store owner encourages you to open things, try them out, play with them, and join her in various hijinks throughout your visit. Powell's Books on Hawthorne - 3723 SE Hawthorne Blvd - If you can't make it to the original Powell's Books store in the Pearl, then the Hawthorne location is the next logical choice. While the store looks small on the outside, it's actually a very large place. When you get a second, stop by the adjacent coffee shop, Fresh Pot.